Already have drawings of what you need? Great we’ll make parts to your specifications. 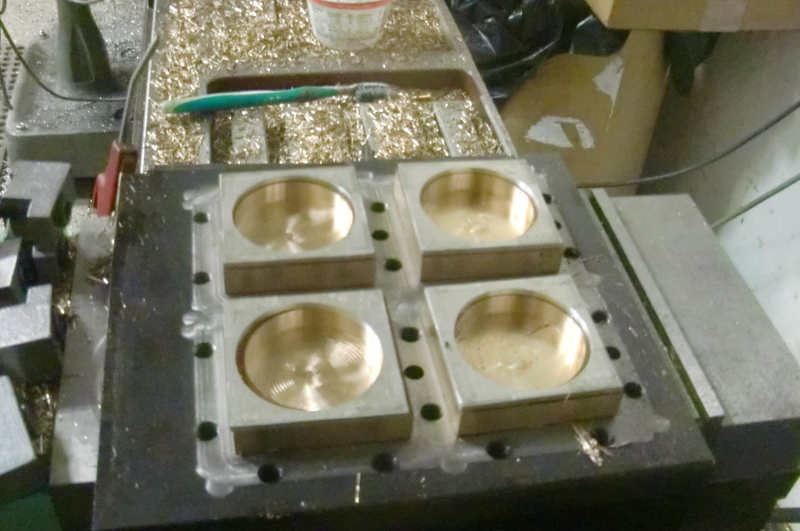 We’ve machined a range of materials from soft stuff like Aluminum 6061, Copper, and Plastic to hard material like Invar 36, A2, 304SS, and Silicon Bronze. 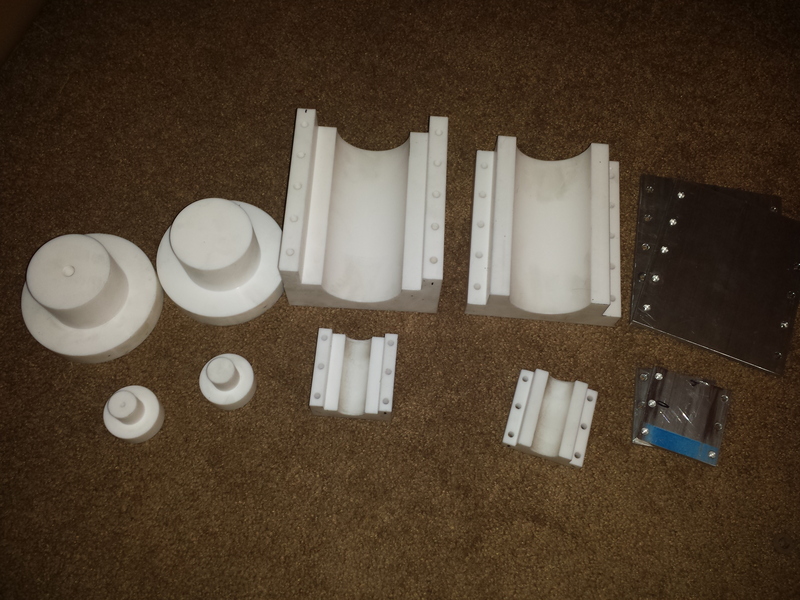 We’ve made low tolerance parts to injection molds and loads in between. If its time sensitive let us know and we’ll see what we can do to get your parts done withing your time frame. 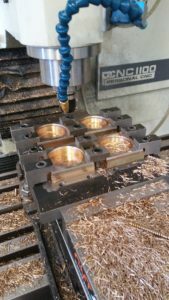 A participant of Free Machining Day came back a few months after having a part made at FMD and said he had work that he’d pay us to do, woot! 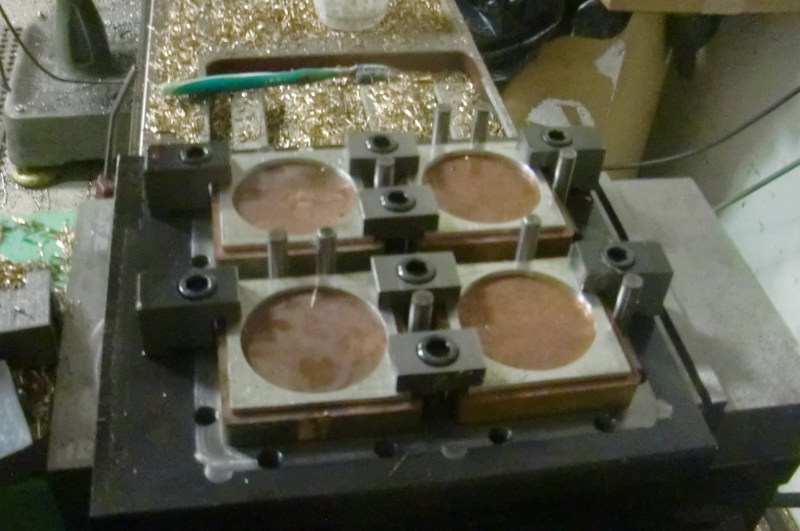 The company he worked for wanted some us square up the outside of some silicon bronze parts they’d water jet out and also to pocket out the center. Cool, but uhm what is silicon bronze? Turns out its denser than steel and has a machine-ability rating of 30, hmm this will be interesting to try running a batch of 60 parts. 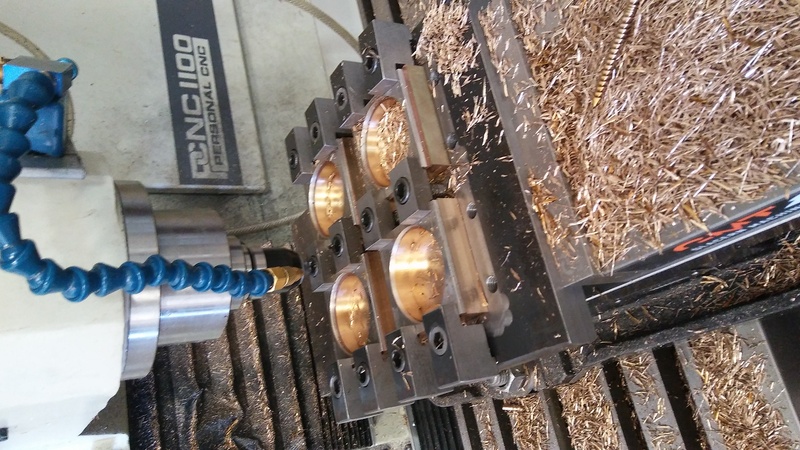 Have no fear though the with the right cutter geometry and cut recipe the Tormach cut em up fine and dandy, not as quick as a VMC but it did the job. 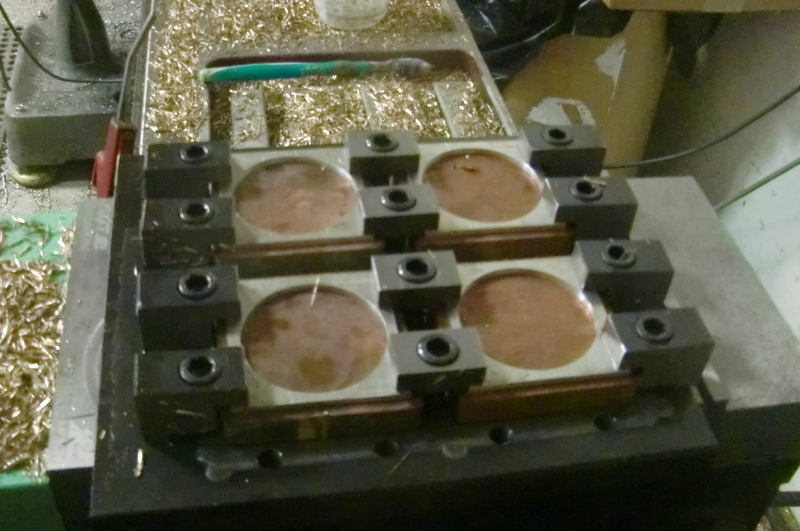 This was a fun job for us as we previously hadn’t done parts with a high enough quantity to justify a fixture plate. Whew lets make a fixture plate! That’ll only take a couple hours right? Eh sort of, haha. 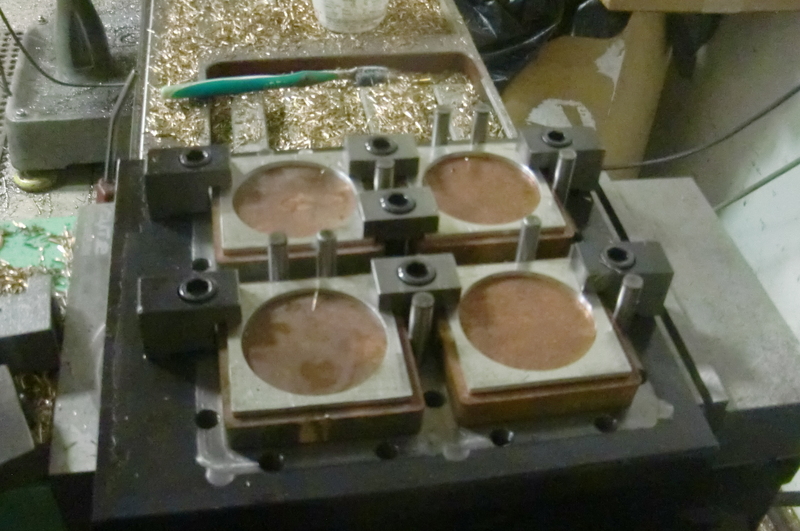 After some (cough cough alot) trial and error with the hold down clamps we got a setup that worked and parts started getting made. In the end it felt as though it might have been quicker to square up and pocket each part individually but it was a worthwhile learning experience to make the fixture plate and also made better parts as they could be done in one setup. 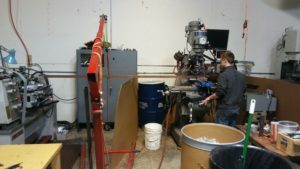 Plus its fun to have enough machining to do in a setup where the operator has enough time to walk away and do other things (even though David will end up watching each cycle wanting to make minor adjustments in an attempt to save time haha). 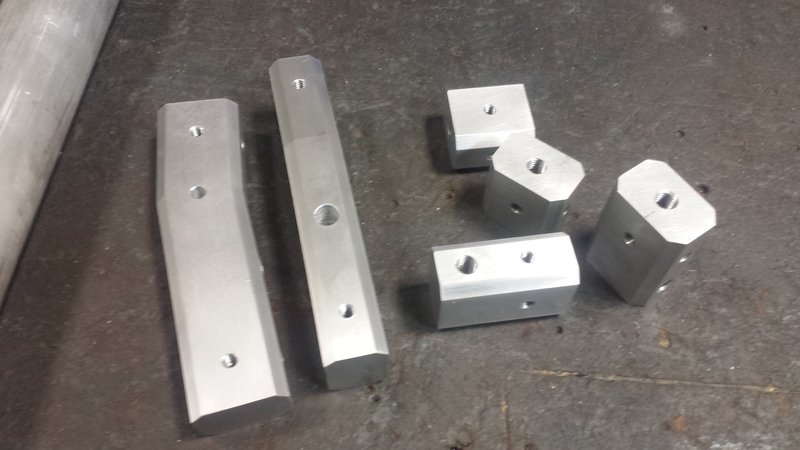 A customer we’d done a handful of parts for asked us if we’d ever worked with tool steel and could heat treat. 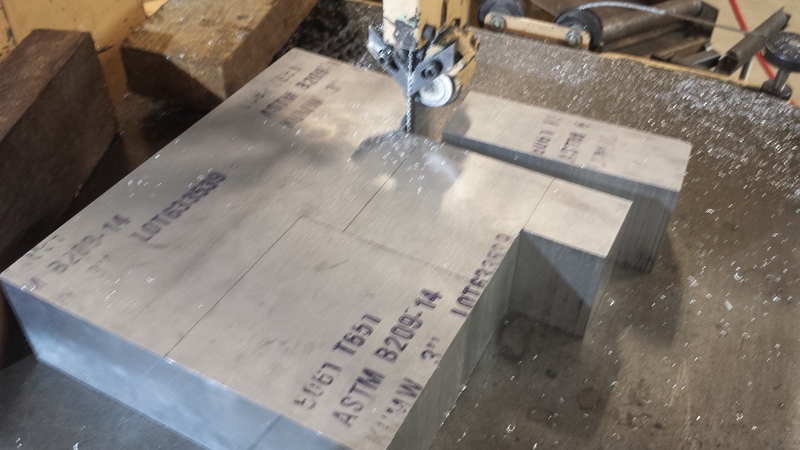 Tool steel and heat treating, oh boy yes please! 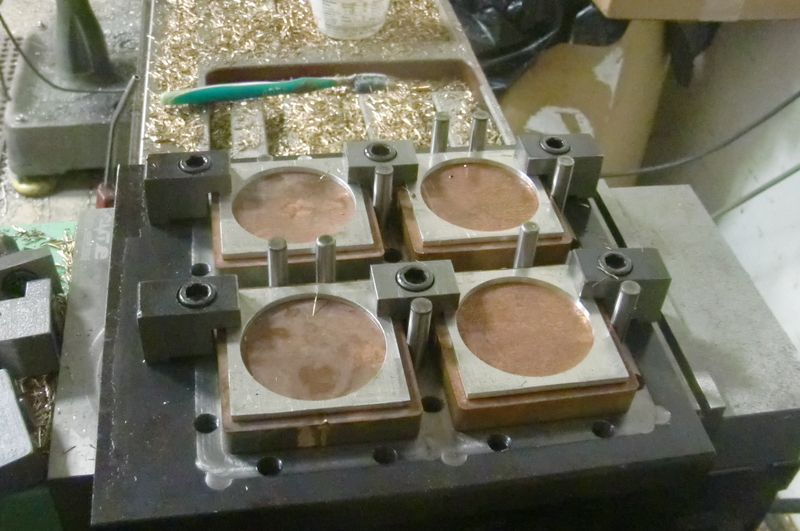 After making some modifications to the parts, mainly increasing inside radii for larger cutters, we started making chips. After machining the parts we threw them in the oven, brought it to a toasty 1700° F, quenched, tempered to 45 HRC, and verified the hardness. 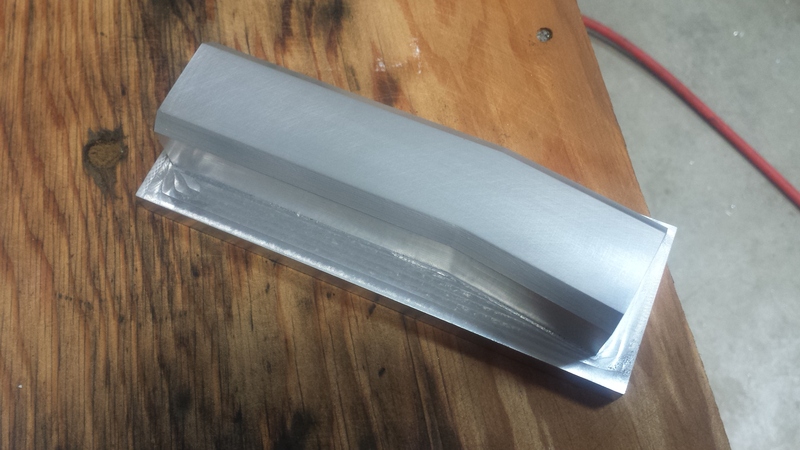 Customer wanted a 1 3/16 x .75 slot milled along the length of bronze bar. 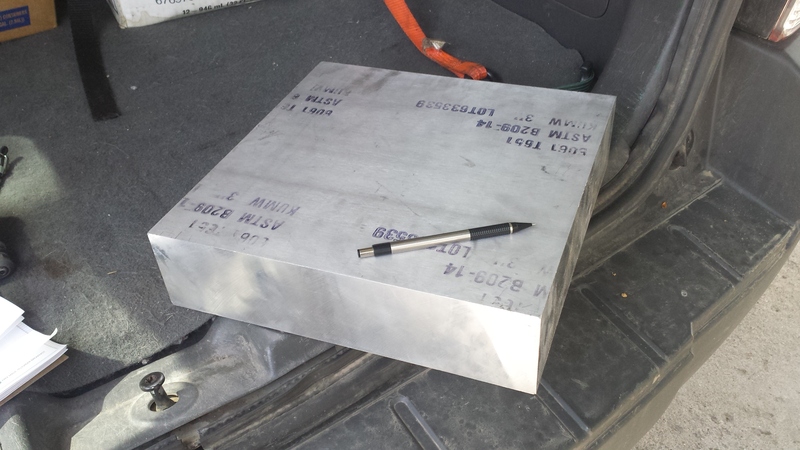 Typically no big deal but the parts were 5′, 7′, 9′, and they wanted them sooner then later. The time frame was workable but the work length was out of our work envelope. 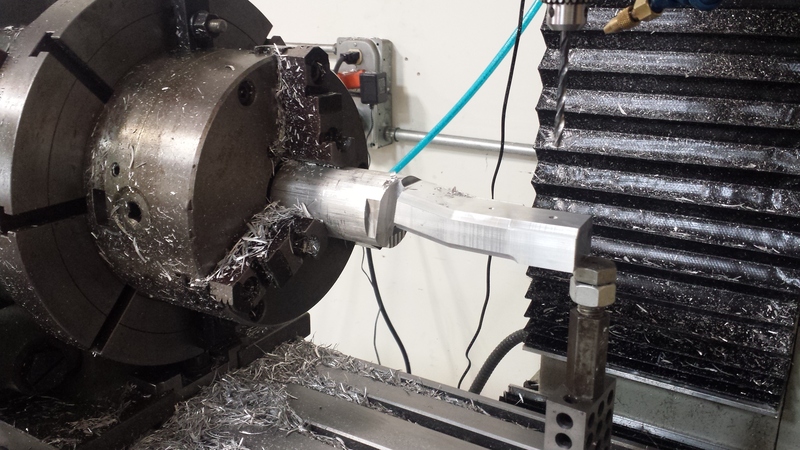 After talking with the client we determined it was acceptable to mill the slot in 8″ intervals, this allowed us to do the longer lengths while not sacrificing work piece rigidity or having to do a special setup (though the setup we did was pretty special haha). Given the length of the part we had to support the free end otherwise alot of moment would be applied to the table causing unnecessary wear and the would probably slip out of the vise. 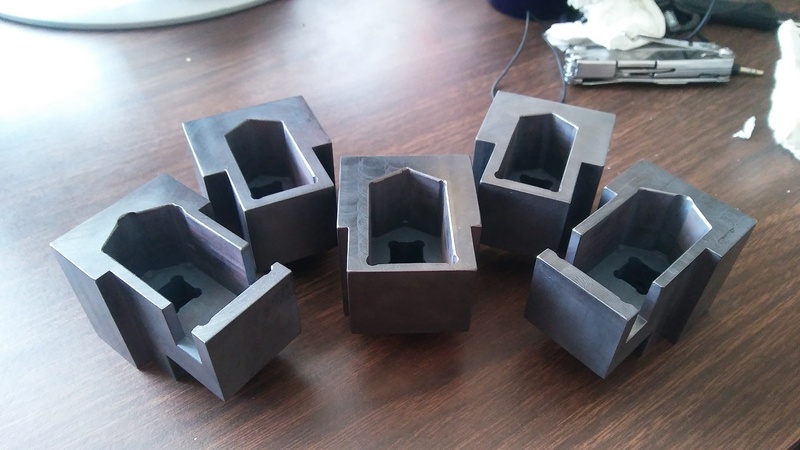 A Purdue researche start up, Adranos, had sent part drawings to a job shop and was frustrated that after 3 weeks the shop not only hadn’t started work on the parts but hadn’t even ordered the material. After meeting with the researcher to discuss what their design and time line we were awarded the job. We had the parts delivered to the client within 5 days with 3 days of that waiting for material (we don’t stock teflon, haha). Project Possum,a 501(C)(3) non-profit dedicated to suborbital research and education, contacted us about making some aluminum brackets for a seat they had designed. 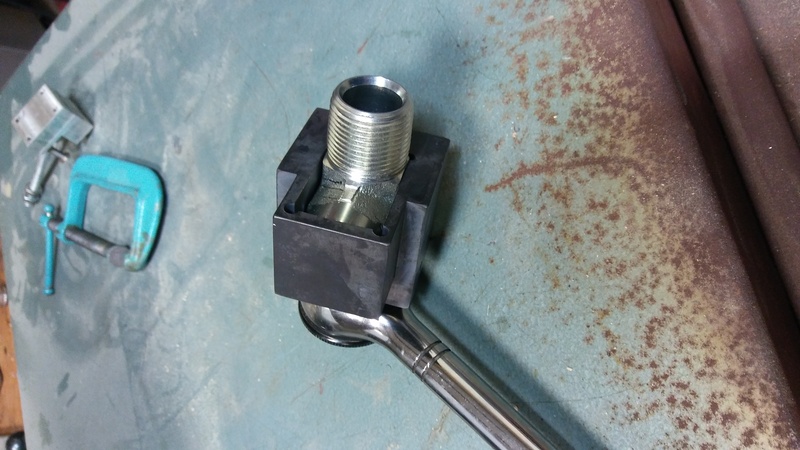 The team was on a tight deadline and needed the parts sooner, not later. We’d recently got our Tormach up and running and this was a perfect job for it. 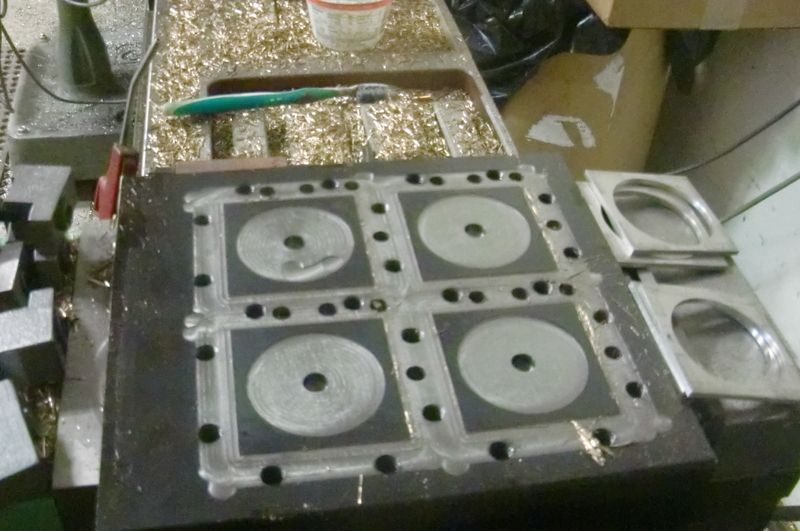 A few of the parts had angled edges that would have been possible byt quite annoying to do on the manual mill. 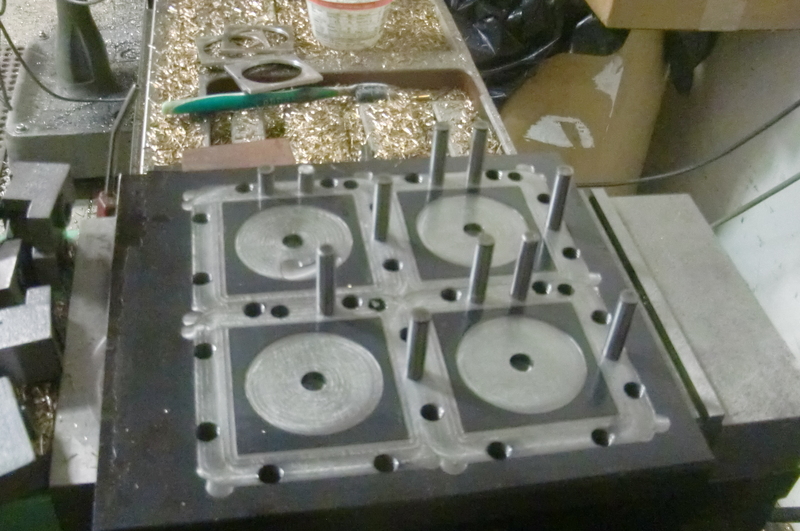 One of the parts had tricky enough geometry that we decided to use our rotary table as a 4th axis on the Tormach. Using the 4th axis allowed us to do the parts faster and more accurately, as there was 1 set up there was less tolerance stack up. After completing and delivering the aluminum brackets we were awarded a second job that was on an even tighter deadline. We had the job done within 24 hrs of being awarded it. 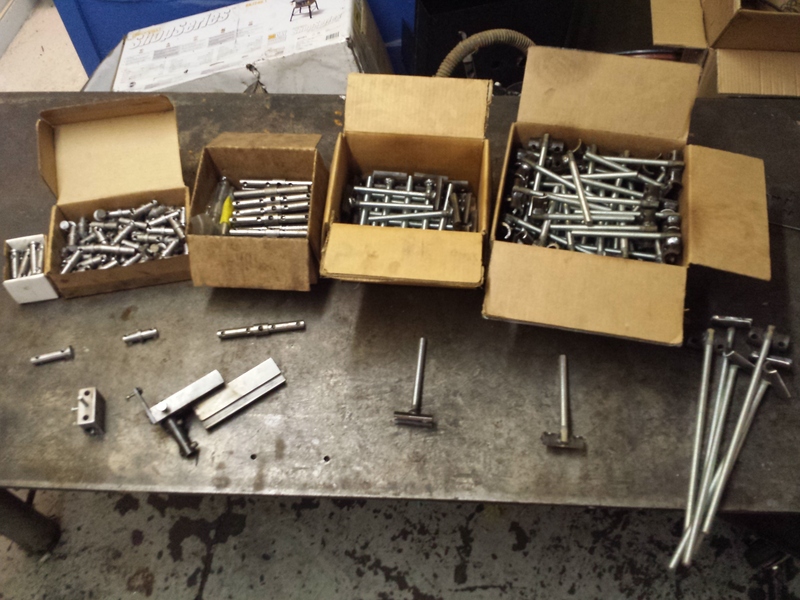 To make ‘The Sponge Bob Musical’ chain reaction machines simpler to construct we used a few common parts that were used through out the machines instead of multiple variations of similar parts. Ended up that we needed 50+ of a few of these parts and the company that we contracted for, Prop-N-Spoon, awarded us the contract to make these parts due to our fast turn around and reasonable prices. Doesn’t look like much packed up but theres a lot of work packed into those cardboard boxes.